All Fish Forums • View topic - Duncan coral.. fact or fiction? Duncan coral.. fact or fiction? I came across a number of references which state that Duncan corals (Duncanopsammia axifuga) can be grown without any sunlight but with extra feeding in the same way which sun corals are grown? The polyps are said to turn from green to white while the tentacles will have a more intense pink/red colour to them. Re: Duncan coral.. fact or fiction? 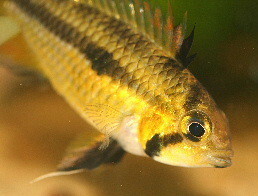 Duncanopsammia axifuga are very rare and expensive here in the United States. From my understanding they are very similar in requirements as sun coral. Low lighting is fine for these corals, however regular feeding is necessary. The only real problem I see is overfeeding especially in smaller tanks. Your best bet would be to feed the individual polyps directly. Remove any food that is not eaten. Are you thinking of getting a Duncan coral or just curious? Sounds like a good deal to me. They are very nice looking coral. That they are! I have also found out that they are quite nasty to other corals as one of the crabs knocked a mushroom rock over onto it and I came back to a rock covered in mush with only one or two mushrooms left alongside a few feet. Luckily it's recovering quite well! KittyKat wrote: That they are! I have also found out that they are quite nasty to other corals as one of the crabs knocked a mushroom rock over onto it and I came back to a rock covered in mush with only one or two mushrooms left alongside a few feet. Luckily it's recovering quite well! They sell aquarium safe epoxy, which can be used for attaching live rock together so nothing falls over. Many people use it when creating elaborate rock structures. It can also be used to attach coral frags to live rock.